Today is the 18th April 2014. To the average Joe that date probably doesn’t mean much, but if you’re a passionate Pixies fan, you’ll know that it’s the 25th anniversary of their seminal sophomore LP Doolittle. Following the approach of their abrasive, fantastic debut Surfer Rosa, it is entirely fat-free, with its 15 tracks lasting little more than two minutes on average. These songs are characterised by their unusual and dark subject matter, ranging from surrealism, Biblical violence, torture and a crazy roommate from Puerto Rico. The most famous example of these is arguably album opener ‘Debaser’, which references Luis Buñuel and Salvador Dalí‘s 1929 surrealist film Un Chien Andalou. The lyrics often contrast with the uptempo style of many of the songs, but it’s a contrast that works perfectly within the Pixies’ sound. Musically, the record sees the band reigning in their rawer impulses, in favour of a (comparatively) poppier sound, a notable example being ‘Here Comes Your Man’, which was initially supposed to sound like Hüsker Dü, but producer Gil Norton persuaded frontman Black Francis to slow down the song’s tempo, resulting in something akin to Californian surf rock. It would go on to become their breakthrough song. Furthermore, the excellent ‘Wave of Mutilation’ is similar with its breezy pace. The downbeat ‘Monkey Gone to Heaven’ marked the first time the band incorporated additional musicians, in this case, four strings and in the process crafted one of their best songs. Arriving near the album’s end, ‘Silver’ possesses a slight swamp rock tinge. However, the band still found room for their harder and more recognisable sound, with fast, aggressive tracks ‘Tame’ and the Spanish-flavoured ‘Crackity Jones’ acting as prime showcases for the quartet’s trademark loud-quiet-loud dynamic. Norton’s production is slicker than Steve Albini’s on Surfer Rosa, but that doesn’t make it any less good. They’re both brilliant albums (and personal favourites of mine), that feature all of the band’s trademarks and idiosyncrasies. Every song on this record is terrific, from ‘Debaser’ right up to ‘Gouge Away’, as that feeling of melancholia creeps in when you realise that the album is over already. It happens every time. Its legacy has lived on in countless musicians, notably Nirvana, PJ Harvey, The Smashing Pumpkins and even McLusky. Additionally, it may 25 years old, but it’s showing no signs of aging, still sounding as fresh, exciting and enthralling as ever. 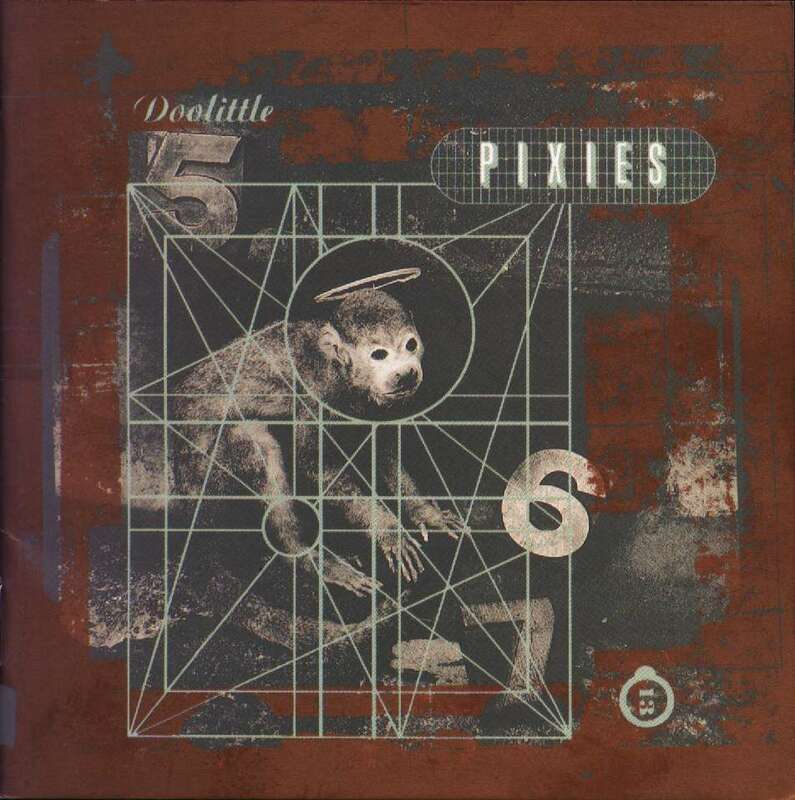 So, if you’ve yet to listen to a Pixies album (I hope you have already), then Doolittle is the perfect place to start. Posted in Columns, Looking back at, Proper Pop, Proper Rock, rant, Retro is better than autotune, reviews, When editors don't do their job, Where's my mars barTagged Doolittle, PixiesBookmark the permalink.